Although essentially a 'one-man band', Sandler Ltd has successfully delivered projects of all sizes to a wide range of blue-chip clients and SMEs. Sandler Ltd is the corporate form of me, Ahmed Ilyas. I have over 11 years of experience in the computer software industry – both client and agency side – and am an accredited Microsoft Most Valued Professional. So you get hard-working software solutions, increased staff expertise, more satisfied clients and better results for your business. My clients say they enjoy having me on their team. I think that’s because they get not just first-class technical know-how, but also friendly service, a “can-do” approach and unswerving commitment. That’s probably why almost 80% of our work is repeat business. As of the year 2012, it is an honor and priviledge of being recognised and approached by Markus Egger/the team to be part of EPS Groups' CODE Consulting team. Smarta.com, the RBS/NatWest-run support platform for business owners and entrepreneurs – particularly the blog section and the background workings of the entire website. The River Island website revamp – updating it from PHP and flash to ASP.NET, MVC, SQL Server database and Silverlight, and finding a solution to their gender-specific search requirement. An internel custom security solution for BT, including the new “BitLocker” security platform, rolled out to the whole organisation. Project carried out and acted as a Microsoft Qualified Vendor. 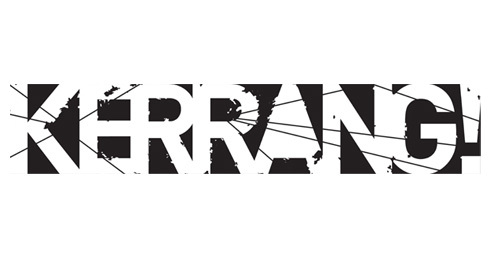 Developed the entire Kerrang BlackXS livesound/Battle of the bands competition using ASP.NET and SQL Server with an estimated 10,000 users signing up and uploading tracks on the first weekend of launch, without downtime and weekly site updates. An exceptional developer who is organised and very hard-working. Ahmed Ilyas is an extremely competent and knowledgeable Microsoft developer.